You are here: Home / Health / Chocolate as a Skin Care Ingredient! Chocolate as a Skin Care Ingredient! A study in the Journal of Nutrition gave women high or low flavanol powder dissolved in water and discovered that flavonoids in dark chocolate absorb UV light, help protect and increase blood flow to the skin and improve skin’s hydration and complexion [Source: Journal of Nutrition]. Contains antioxidants protect your skin from free radical damage and uv rays. Has skin toning and brightening caffeine. Has stress-relieving qualities reducing elevated stress hormones that can cause breakouts and dull skin, as well as anti-inflamatories. Boosts blood circulation giving your skin a healthy glow and the scalp which may help your hair. Store bought chocolate may contain salt or sugar particles with jagged edges that can scratch your skin as well as other ingredients added to the chocolate. Look for pure coco powder the darker the chocolate the better! Mask: Mix plain yogurt with dark chocolate powder and a small amount of oil (ex. olive, sesame, rice bran, or almond). A 7.5-gram piece of the seemingly magic chocolate packs in more antioxidants than 100 grams of regular dark chocolate and 300 grams of Alaskan salmon. 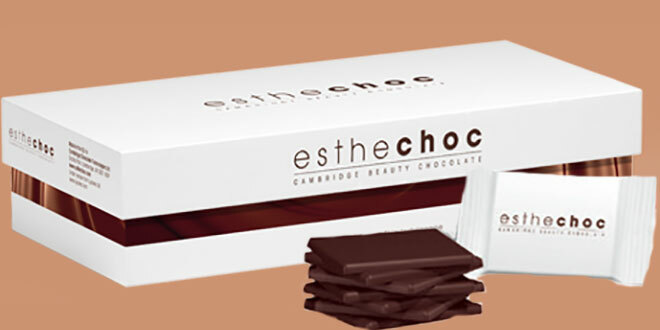 During clinical trials, 50- to 60-year-old participants ate a piece a day of the 70 percent dark chocolate “Esthechoc” and watched it boost blood supply and reduce inflammation to the skin within four weeks — resulting in healthier skin. Sugar levels are low enough for it to be safe for diabetics, and each piece of edible goodness adds up to only 38 calories, making it a safe choice for moderate consumption. Guess what just eating a small piece of regular store bought dark chocolate still has a lot of health benefits too! « New Foundation Formulas and How to Use Them!